For the Star Trek: Voyager episode, see Infinite Regress (Star Trek: Voyager). An infinite regress in a series of propositions arises if the truth of proposition P1 requires the support of proposition P2, the truth of proposition P2 requires the support of proposition P3, and so on, ad infinitum. Distinction is made between infinite regresses that are "vicious" and those that are not. Some hold that, owing to the necessity of knowing the primary premises, there is no scientific knowledge. Others think there is, but that all truths are demonstrable. Neither doctrine is either true or a necessary deduction from the premises. The first school, assuming that there is no way of knowing other than by demonstration, maintain that an infinite regress is involved, on the ground that if behind the prior stands no primary, we could not know the posterior through the prior (wherein they are right, for one cannot traverse an infinite series): if on the other hand – they say – the series terminates and there are primary premises, yet these are unknowable because incapable of demonstration, which according to them is the only form of knowledge. And since thus one cannot know the primary premises, knowledge of the conclusions which follow from them is not pure scientific knowledge nor properly knowing at all, but rests on the mere supposition that the premises are true. The other party agree with them as regards knowing, holding that it is only possible by demonstration, but they see no difficulty in holding that all truths are demonstrated, on the ground that demonstration may be circular and reciprocal. Our own doctrine is that not all knowledge is demonstrative: on the contrary, knowledge of the immediate premises is independent of demonstration. (The necessity of this is obvious; for since we must know the prior premises from which the demonstration is drawn, and since the regress must end in immediate truths, those truths must be indemonstrable.) Such, then, is our doctrine, and in addition we maintain that besides scientific knowledge there is its original source which enables us to recognize the definitions. Infinite regress in consciousness is the formation of an infinite series of "inner observers" as we ask the question of who is observing the output of the neural correlates of consciousness in the study of subjective consciousness. Infinite regress is akin to the optical phenomenon wherein an infinite sequence of receding images is formed between two parallel facing mirrors. A similar process occurs in optical feedback. Libertarian free will asserts that human actions do not have causes and are chosen consciously – i.e. are not random. This raises a serious question: what are these conscious decisions based on? Since they can't be based on nothing (as the possibility of decisions being random is excluded), this question can be asked for each subsequent answer or answers to it, thus forming an infinite regress. Wikimedia Commons has media related to Infinite regress. ^ Byrne, Patrick Hugh (1997). 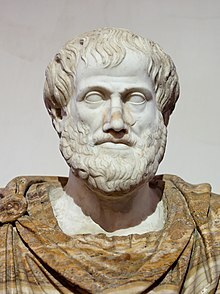 Analysis & Science in Aristotle. SUNY Series in Ancient Greek Philosophy. State University of New York Press. p. 83. ISBN 9780791433218. LCCN 96037783. ^ Aristotle (1901). Posterior Analytics. B.H. Blackwell. p. 7. ^ "Free will : Routledge Encyclopedia of Philosophy Online". web.archive.org. 25 August 2007. ^ Barnes, Eric Christian (2017). "Historical Moral Responsibility: Is the Infinite Regress Problem Fatal?". Pacific Philosophical Quarterly. 98 (4): 533–554. doi:10.1111/papq.12139. ^ Fischer, John Martin (2005). Free Will: Libertarianism, alternative possibilities, and moral responsibility. Abingdon: Routledge. ISBN 9780415327299 – via Google Books.